Hello friends, aaj kal computers ka use har jagah ho rha hai-chahe ghar per,office mein,or school mein, har jagah. Hamari day-to-day life ke kai tasks or activities ab computers per depend ho gye hain. Inme se jo main activities shaamil hain- jaise online study krna,job search krna,kisi bhi product se related information search karna,shopping karna,trip ki planning karna, in sab activities ko karne ke liye ham computers ka use kr skte hain. To is tarah aap dekh sakte hain ki computer kis tarah se hamari life ko easy bana rha hai. 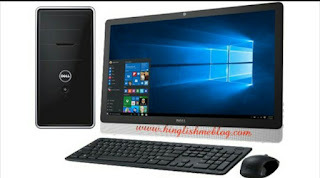 Home Computer ya PC(Personal Computer) ke saath ham or bhi tasks kar sakte hain jaise aap ghar baithe apna bank balance dekh sakte hain,bill pay kar sakte hain, aap apni personal income or kharchon(expenses) per bhi najar(track) rkh sakte hain, funds transfer, buy or sell stocks or apne financial plans ko evaluate kar sakte hain. Computer ka use ab har jagah hota hai jaise ki aapne dekha hoga ki log rupay ka transaction ATM(Automated teller machine) se karte hain. Or grocery store mein bhi computer ka istemaal hota hai jiski help se money ki calculation or jitne items purchase kiye gye hain unka calculation easy ho jata hai. Kai log Computers ko as a source of communication use krte hain yaani ab communication karne ke liye text per hi limited nhi rehna padega. Ab aap voice calling,sound recording send kr skte hain,videos share kr skte hain and graphics ki technology ki help se aap computer per other persons se face to face communicate ker sakte hain. Aap videos send kar sakte hain or apni family,friends or relatives ke saath photographs send and share kar sakte hain. Technology day-to-day advance hoti jaa rhi hai or computers ab hamari life ke integral parts ban chuke hain. To agar aapko is digital world mein success hona hai to yeh bahut jaroori hai ki aap Computer Literate ho. Computer Literate hone se matlb hai ki aapke pass computer or uske uses ki knowledge or achi samaj(understanding) ho.